Clean-Grip Cleanroom Nitrile Gloves Powder Free Cleanroom Nitrile are 100% Nitrile which is manufactured to provide the lowest levels of particulates and extractable possible. 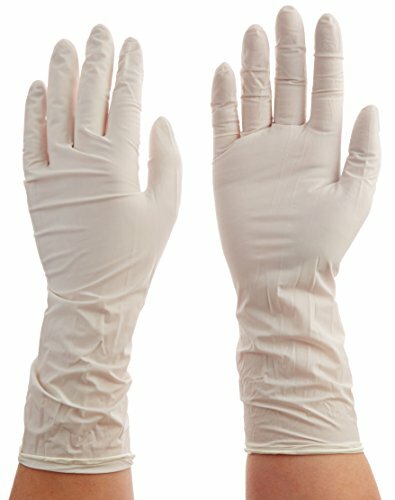 These Latex Free ambidextrous Nitrile Gloves resist a wide range of chemicals including Acetic Acid, Ethylene Glycol, MEKand Sodium Hydroxide. Nitrile is inherently anti-static making this glove is ideal for use in Electronics, Semi-Conductor Industries and Biotechnical Laboratories. Our Nitrile Glove contains no latex protein making it an allergen-free alternative for latex-sensitive users. Fully textured fingers for sure wet/dry handling. If you have any questions about this product by Total Source Manufacturing, contact us by completing and submitting the form below. If you are looking for a specif part number, please include it with your message.